The HP Integrity rx4640 server is the 4-way server which extends the performance of entry-level computing with its support up to 4 Intel® Itanium® 2 processors. HP Integrity rx4640 server lets you make the most out your physical resources for maximising your return on IT with its rack-dense design. It supports a choice of operating systems including HP-UX 11i, Linux, Windows and OpenVMS. 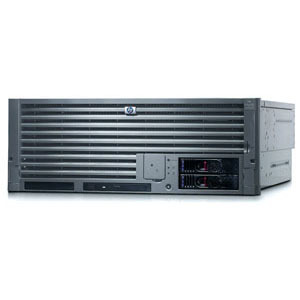 HP Integrity rx4640 server enables commercial computing users to run even more demanding business applications, such as enterprise resource planning (ERP), supply chain management, and business intelligence, at an entry-level price point. Worldwide shipping available. Contact us for more information. Copyright 2007- 2014 MIT Limited. All rights reserved.